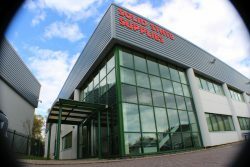 Solid State Supplies Ltd (part of Solid State plc), is a focused distributor serving the needs of the electronics OEM community in the UK. We represent a modest number of suppliers who manufacture semiconductors, related electronic components and modules. We seek to understand their products in depth and to offer outstanding levels of commercial and technical support to our customers. The products we sell include those for embedded processing, control and communications (both wireless and wired), power management, and LED lighting from globally recognised manufacturers. We have particular expertise in high-reliability components for mil/aero applications and the company’s Quality Management System is in accordance with the International Aerospace standard AS9120. We also offer Value Added Services for customers who require their programs pre-loaded onto hardware which is all carried out in our bespoke ESD facility in line with our AS9100 certification. VAT No. 115 0937 35.